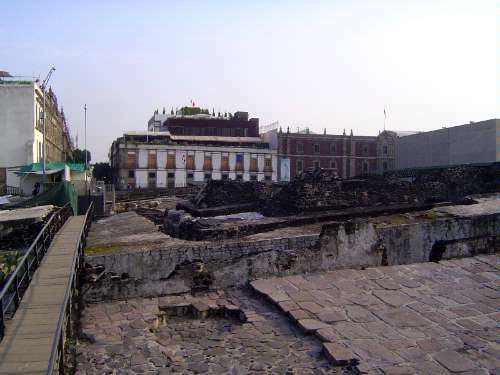 The archaeological site of the Templo Mayor. One of the men with Cortés, Bernal Díaz, wrote: "It was all so wonderful, that I do not know how to describe this first glimpse of things never heard of, seen or dreamed of before." He continued: "I stood looking at it and thought that no land like it would ever again be discovered in the whole world. But today, all that I then saw is overthrown and destroyed: nothing is left standing."